Alisa Harvey started her running career as a sprinter. The now 52-year-old wanted to run the 100-meter and 200-meter races in her middle school track races at Thomas Jefferson High School in Alexandria. She did OK. But when she moved to the 800-meter races, something unexpected happened — she started winning. Harvey, now a Manassas resident, has come to terms with her knack for running middle distances. She has records in the distances her middle-school self once merely tolerated. “I have figured it out after 52 years that because of my abilities at speed and endurance, the best out of me is the 800-meter race,” she said. 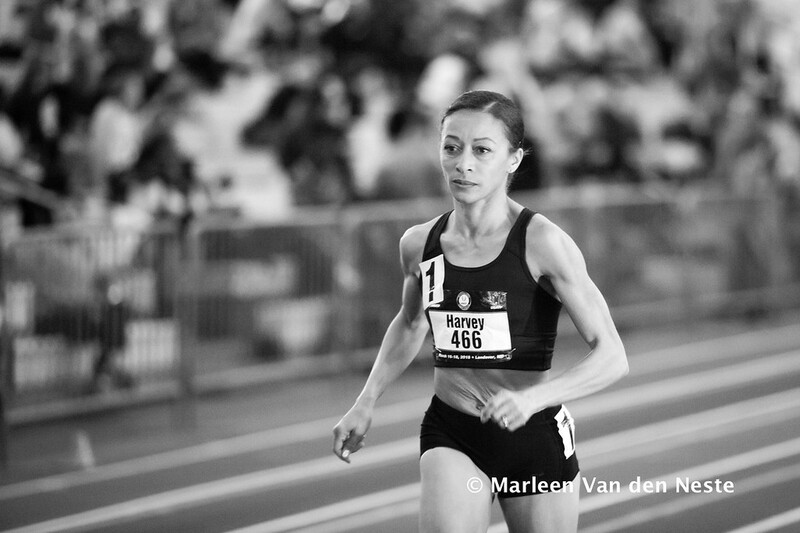 In her elite days, Harvey won gold at the 1991 Havana Pan American Games in the 1500-meter race; she won silver in the 800-meter race at the games too. She is a rare sub-4:30 miler and has qualified for several Olympic trials. Locally she has won the Army Ten Miler — four times as top female runner, and twice as the Masters champion. While her goals have changed slightly as she ages, Harvey still dominates the masters circuit. She holds several American Masters track records. Right now, she is rehabilitating a hamstring injury, which has sidelined her for the past few months. With the help of physical therapy, she is returning to regular runs and track workouts and hopes to race in a 5K road race before focusing on specific races. “I have not decided where or which race yet. I need a couple of 5K race goals to motivate me back into shape,” she said, adding that she is shooting for a finish around 20 minutes. If all goes well, she plans to compete in the Navy Mile and Army Ten-Miler races in October. Harvey attributes her longevity to knowing herself as a runner and understanding what works for her and her body. As she ages, she doesn’t train as often as her elite days because she admits she doesn’t recover as fast as she used to. She knows her stamina is still pretty good, but she tires easily; and the value of her rest days can not be understated. Intentionally taking off more days has added years onto Harvey’s running career, she said. While some may scale back their goals as they age, Harvey’s are still as ambitious as ever. All the more impressive: Harvey hasn’t had a coach in decades. She self-coached through her career as an elite runner, admitting the last time she had an official coach was when she was in her early 30s. While Harvey is without a coach, coaching is very much a big part of her life. For a little more than a decade, she has been coaching clients from around the region. She coaches mainly individual high school athletes, but occasionally steps in to offer tips for teams. Her runners are of all abilities, too. It’s no surprise that Harvey’s personal running philosophy focusing on recovery and resting is imparted onto her athletes. It work for Julia Ghiselli — a freshman at Annandale High School who Harvey has coached for two years. Ghiselli, who runs the 1600-meter and 3200-meter races in track for her school, sought Harvey as a coach as a way to improve in a sport she was just learning to love. The teenager has seen improvement in her track races, but acknowledges she has learned more than just running from her 52-year-old coach. Harvey has introduced her to other influencers in the running community, demonstrated patience and perseverance and how to recover with class when things might not go your way. Harvey is happiest when the athletes she coaches “get it and are pleased with what they’ve achieved.” But most of all, she wants to shape lives the way others did for her. In the 80s, Harvey went to a running store in Fairfax, Virginia, and bought a $30 sports bra. The now-ubiquitous item of clothing was not nearly as popular then, and women largely ran in regular bras. “I remember I was impressed with how expensive this running bra was,” Harvey remarked. The running scene in the D.C. area has changed significantly since then, she acknowledges. Harvey, who has spent much of her running career in the D.C. area, said in addition to apparel, the running community has developed and thrived for the better. Even for a highly motivated runner like Harvey, those pervasive local races are helpful. And with more options come opportunities to try new running experiences. Ghiselli said her coach joined her for a trail race recently.